Dec 27th – Happy Christmas! December 12th:- "WALES PLAYS BRAZIL"
A series of four workshops specifically for women, led by inspirational tutor Jilly Jarman. The workshops will create a supportive atmosphere for instrumentalists and vocalists alike. They will concentrate on developing ways to improvise, playing with others, and having fun with jazz repertoire and beyond. Playing will usually be by ear though help from sheet music will be available too. 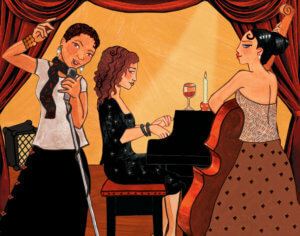 Learning will include: communicating with other musicians, demystifying jargon and preparing for a jam session. Jilly Jarman is a jazz composer, singer and multi-instrumentalist. She is founder/director of BlueJam Arts and is currently developing Cumbria Music Hub’s Youth Jazz Programme and Girls in Jazz project. Who? Suitable for female instrumentalists and vocalists, aged 16 to infinity. How? To enrol please complete the form below. The fee for all four workshops and the party is £80. If you cannot attend all the sessions you may pay £22.50 per workshop. 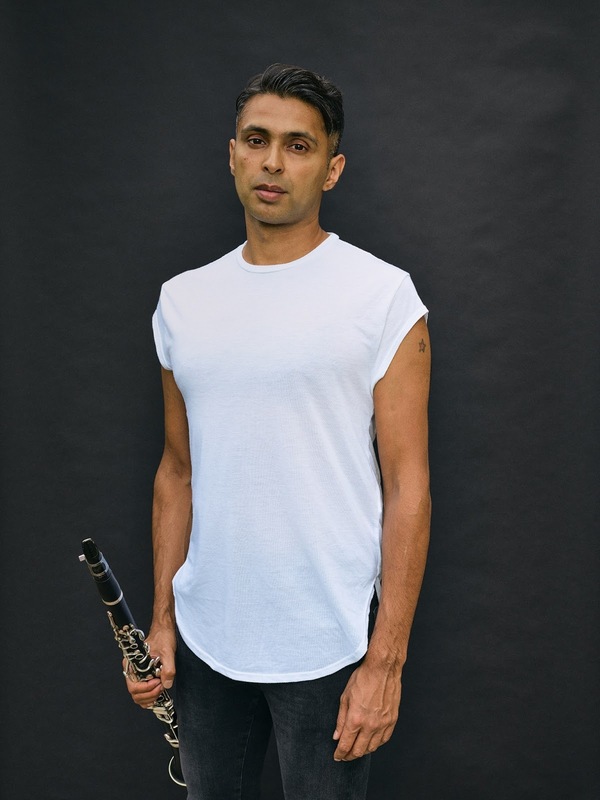 Fri 1 Dec Jasper Hoiby’s "Fellow creatures"
This set-of current generation musicians is perfect to interpret Jasper’s green-inspired compositions. “. . rhythm-twisting struts played with the breeziness of a street band”. 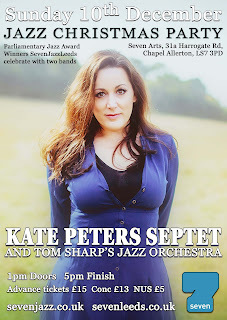 Outstanding composer and pianist Kate with the UK’s foremost flautist Gareth in a long-standing band which will be sure to produce stimulating music. Early start at 8:00pm for a three set gig including a buffet meal in the first interval and a monster raffle in the second - early booking is recommended. A block-buster band with major UK jazz personalities combining to provide the fun and passion a party should include. Note – the emphasis will be firmly on jazz content with the occasional seasonal reference. Big Bands for Christmas? JazzLeeds've got 'em! Asaxual was formed in 2016 as a saxophone free quintet that pays tribute to some of the most magnificent two-brass front lines of the recent past, such as the great JJ Johnson & Kai Winding , and heavyweights like Bobby Shew and Carl Fontana. 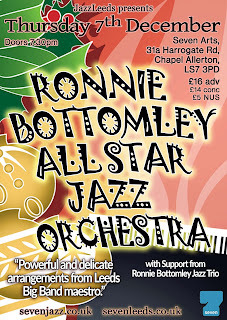 "Oh wow that's a wonderful band" said one well known Leeds jazz singer when we told her about the concert . 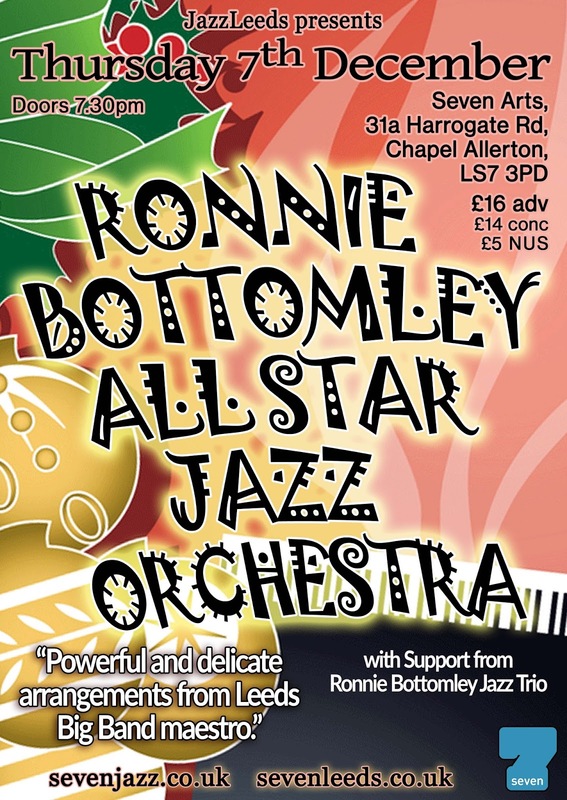 Big Ronnie Bottomley is truly a Leeds big band legend. His arrangements are founded firmly in the classic big band repertoire but also Ron's own special creations. He'll be conducting his All-Star Jazz Orchestra - get there early for what will be a popular Christmas concert! Ronnie has known so many top musicians over so many years that he has an immense pool of musicians to call upon. His experience over 5 decades as a performer and educator has gained him respect of his and later generations and he is indefatigable in his composing and arranging which continues unabated. Our tenth anniversary Christmas party is a specially extended double header jazz afternoon! We've a special guest too - the Leeds Lord Mayor Cllr Jane Dowson coming along to to share in the fun! Some of the best classic big band charts performed by some of Leeds top young musicians who recently won the "best big band" award in the Great North Big Band Jazz Festival. Our final Christmas jam session is always the best! Bring your horn or your voice or just come down and watch the fun. The Jazz Workshop and Jazz Voices Choir will be performing their Christmas party pieces and the Seven Jazz trio with George McDonald on piano, Steve Crocker bass and Steve Hanley drums will be there to support you if you want to join in! I'm delighted to introduce the 14th Jazz on a Winter’s Weekend in Southport at the Royal Clifton Hotel once again incorporating the flavours that Southport has become well known for; international artists, challenging and contemporary jazz, some Big Band music and of course the best in British with a touch of North West genius. This year the international theme features Tricia Evy who plays the late set for us on Saturday night and we have Asaf Sirkis joining local heroes Mike Walker & Gwilym Simcock in the Friday late, late slot. We look forward to seeing you all for the Southport Jazz Festival 2018, We would love to see you over all the 4 days of great entertainment. But don’t worry if you can’t join us for the whole weekend, choose your favourite day or individual performances. The line-up ahas been announced for Gateshead International Jazz Festival 2018. Styled as "the UK’s biggest jazz festival held under one roof" the festival fills four stages at Sage Gateshead from Friday 6 to Sunday 8 April 2018. Headlining this year’s festival are Ruby Turner, Maceo Parker, Sun Ra Arkestra, Tony Allen, Norma Winstone, Portico Quartet, The Chris Barber Band and Georgie Fame with The Guy Barker Big Band alongside many other jazz, funk and soul artists from across Europe and beyond. Providing the funk and soul will be one of the UK’s most popular soul singers Ruby Turner who will be joined in a great Saturday night double bill by American funk superstar saxophonist Maceo Parker, whose collaborations over the years have included James Brown, Prince, Ray Charles, James Taylor, De La Soul, Dave Matthews Band and the Red Hot Chilli Peppers. Mercury prize-nominated Portico Quartet who echo jazz, electronic and ambient music will offer a different style of jazz late on Friday night. 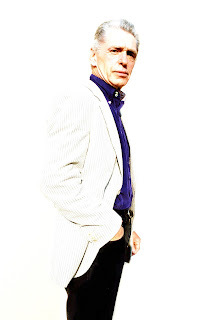 Sunday night’s headline concert features Guy Barker and his Big Band along with yet another major figure in British music, Georgie Fame, who has reached number one in the charts on numerous occasions. New work is a key element of any Sage Gateshead festival, and the festival will see the premiere of a new work by Gateshead born, Leeds based guitarist Chris Sharkey which he will perform with the acclaimed free jazz drummer Mark Sanders. This concert will open with a set by one of the two winners of the 2018 ‘Jazz North Introduces’ award, the Leeds College of Music all-female trio J Frisco. Food writer and broadcaster Jay Rayner will reveal his prowess as a jazz pianist on Saturday afternoon along with his quartet, and in keeping with his international renown as a restaurant critic, Jay tackles songs that deal with food and drink. The festival will also include family concerts, workshops and masterclasses, and a full concourse programme. Busy time up to Christmas for Jazz at the Lescar in Sheffield! We're honoured to welcome a rising star pianist and composer, Israeli born and now residing in Berlin, Eyal Lovett, who's wonderful album 'Tales from a Forbidden Land' featured the great US guitarist Gilad Hekselman. Entrancing and beautiful piano trio music from a truly accomplished trio. With Eyal are Mathias Jensen (bass), Aidan Lowe (drums), and a special guest Eran Har Even on guitar, a leading figure on the Dutch jazz scene. Two very different bands, but both sharing a progressive and expansive approach drawing on a wide range of influences. Kapok bring an infectious rhythmic, fierce live energy, delving into funk rock, classical music, free improv and African music to produce something entirely original.Taupe are equally energetic, but increasing the volume, brash, razor sharp polyrhythmic intensity and exploratory approach, mixing improvisation with electronics to produce something wholly original and vibrant. Two large bands with a shared common ground and featuring a total of 15 of the most creative improvising musicians in the UK. Article XI Article XI was formed as a Manchester Jazz Festival commission in 2015. Led by Anton Hunter, this 11 piece band brings a collective approach to composition. Favourite Animals is based around the core of Cath's quintet Sloth Racket, and utilising her wonderful graphic scoring techniques, you can expect to hear a fluid and organic mix of big riffs and free improvisation. Playing music that explores the freer, more improvised side of jazz, with influences from Henry Threadgill, Ornette Coleman, and Joe Harriott, the quartet features Mark Hanslip on tenor sax, Graham South on trumpet and Seth Bennett on bass. Alan Barnes, Jamie Taylor, Sam Dunn What a way to end the year. 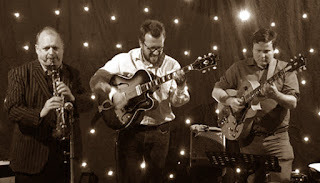 Two brilliant guitarists, Sam Dunn and Jamie Taylor, both based in Sheffield, are joined by a complete legend of the UK jazz scene, alto/baritone sax and clarinet player Alan Barnes. There will, of course, be mulled wine and other Christmas treats! 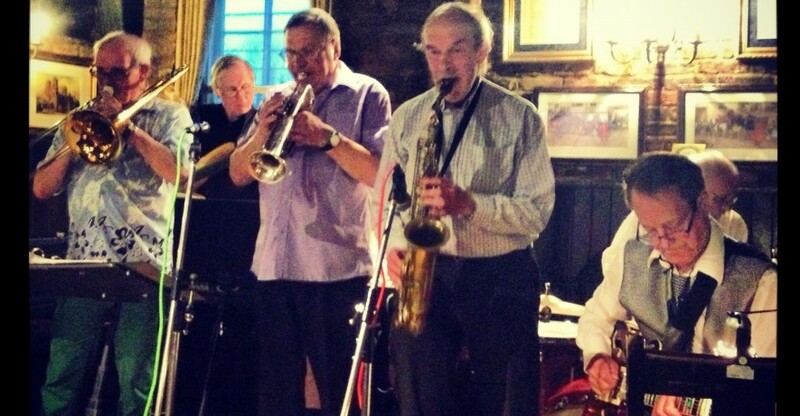 Traditional Jazz every Thursday afternoon, 1.00pm – 3.30pm Cross Keys pub York with local musicians; food available (a special jazz menu), free admission, dog friendly and child friendly. Featuring this week on Thursday 23 Nov, The John Pashley Jazz Band with John Pashley (Trumpet), Martin Boyd, (Clarinet/sax), Alan Bramley (trombone), Keith Daniel (drums), Richard Speight (banjo/gtr) and Phil Kampen (bass). This is a band with a strong earthy Yorkshire orientation from its leader John Pashley. The audience is guaranteed some good humour and entertaining music. 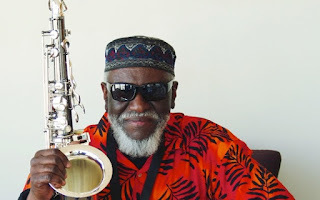 Pharoah Sanders’ career has featured many distinct chapters, but has always aimed for personal exploration rather than rebellion. In 1966 John Coltrane remarked that Pharoah’s playing ‘helps me stay alive’. This was as true now as it was half a century ago, with the influence of both Coltranes (John and Alice) never far away from Pharoah’s music. Pharoah may carry the aura of a jazz legend, but he's not one to bring an ego to the stage with it. He won't hesitate to pass the spotlight to his band. His power to directly connect with an audience has never faded, and those going to see his sold out show at Leeds Belgrave Music Hall will enjoy themselves immensely. Line-up: Pharoah Sanders - tenor saxophone, William Henderson III- piano, Oli Hayhurst - double bass, Gene Calderazzo - drums. 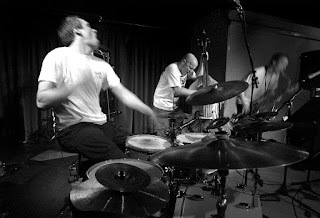 Scandinavian Jazz Punks "The Thing" are in Leeds on Tuesday 21 November at Wharf Chambers. Since 1999 The Thing brings fans of rock, noise and jazz together. With sax, bass and drums the band has covered music from jazz avant-gardists such as Don Cherry and Albert Ayler, from garage rockers such as The White Stripes and The Cramps, more established names such as PJ Harvey and Iggy Pop and underground bands such as Lightning Bolt. The trio recorded albums together with, among others, Neneh Cherry, Ken Vandermark and Thurston Moore. Frontman Mats Gustafsson is internationally renowned for his powerful tenor sax playing. The Swedish saxophonist/composer plays in The Thing with bassist Ingebrigt Håker Flaten and Paal Nilssen-Love, who are known as ‘Norway’s heaviest rhythm section’. Melding German, British and American traditions of free music, their repertoire has later been collected from various sources such as James Blood Ulmer, Frank Lowe, PJ Harvey, White Stripes and Joe McPhee. McPhee was also a participating musician on the She Knows album (2001). Other guests who have joined The Thing for recording and performances include Ken Vandermark, Otomo Yoshihide, Thurston Moore, Jim O'Rourke and Jeb Bishop. "The Sonic Equivalent of the Hulk doing battle with Godzilla"! ‘The sheer energy and physicality of The Thing’s sound is immensely satisfying, fusing the freedom of jazz with the controlled power of rock’ (The Quietus). 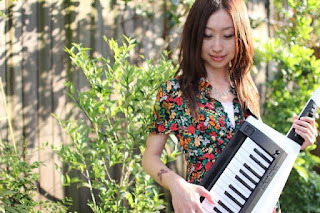 Support is from Roller trio "Epic rock-edge riffs, angular sax explorations, haunting dub step style electronics"
Yukako Yamano (山野 友佳子), born in Tokyo, Japan, is one of the most in demand jazz pianists in Japan today. After graduating from the prestigious Tokyo College of Music at 18, Yukako released her first album entitled “1st Stage” and successfully toured over Japan. In 2015, she released her second album “2nd Stage” and started touring in Taiwan, Hong Kong, France, Spain, and the United States alongside international artists in various music genres. 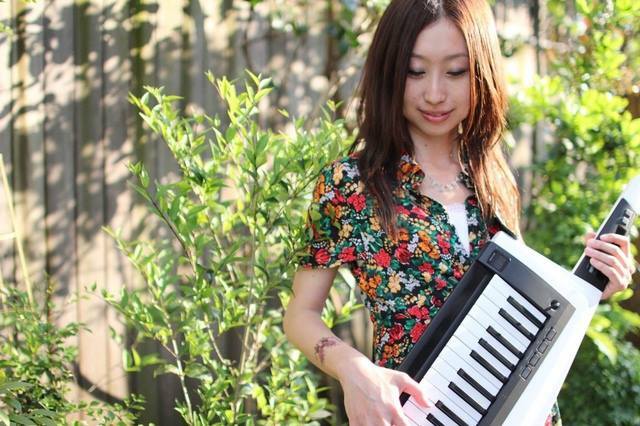 This year, Yukako is bringing her music to UK, with her newly released third album "3rd Stage". She is performing at Wharf Chambers with some of the most talented jazz students in the Leeds College of Music. For the final concert of this year's Huddersfield Contemporary Music Festival experimental folk artist,singer and multi-instrumentalist Sam Amidon explores the intersections of songcraft, jazz improvisation, and traditional American music. His group has some of the finest international jazz and improvising musicians including Byron Wallen trumpet; James Allsop bass clarinet / tenor saxophone; Kit Downes piano; Jasper Høiby acoustic bass; Chris Vatalaro drums / live electronics . They will perform songs from Amidon’s most recent release The Following Mountain, which is his first album of entirely original compositions, as well as drawing on material from Amidon’s earlier records such as Lily-O and I See The Sign, which consisted of radically re-worked traditional folksongs. Sam Amidon is a singer and multi-instrumentalist originally hailing from Brattleboro, Vermont, US. His most recent album, The Following Mountain, was released in May of 2017 by Nonesuch Records. 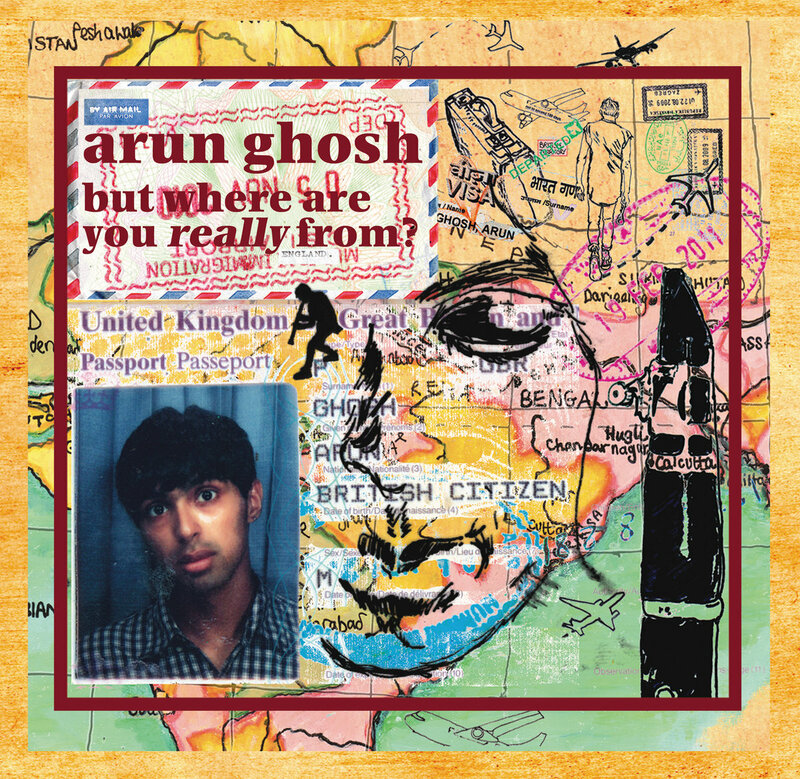 His first album of entirely original songs and compositions, it features appearances by Jimi Hendrix percussionist Juma Sultan and legendary free-jazz drummer Milford Graves, known for his pioneering work in the 1960s with artists such as Albert Ayler and Sonny Sharrock. Obsidian is a collection of Kit Downes’ solo organ works from the eponymous album soon to be released on ECM Records. It is a musical response to volcanicity, slow processes that cause extreme reactions. A mixture of written and semi-scored/semi-improvised pieces, it focusses on the nuances and unique features of both smaller chamber organs local to rural Suffolk as well as larger grander instruments from bigger cities around the UK. It is both a study of extended techniques from instruments sometimes in states of disrepair, and a connection and adaptation of the improvised tradition of the instrument, exploring themes of duration, vibration and mechanics. 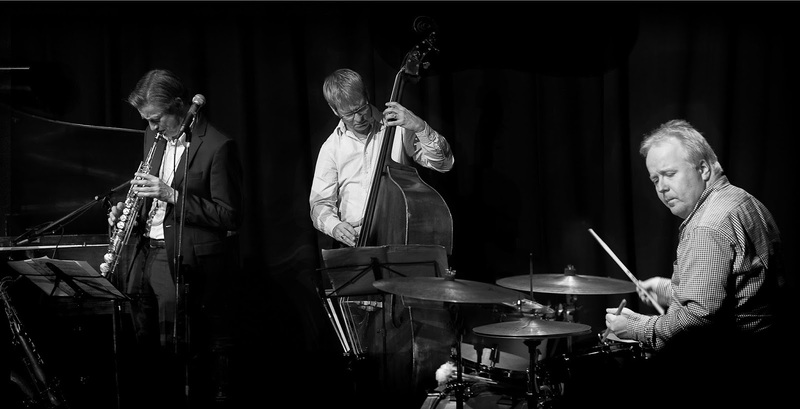 The Francis Tulip Quartet burst onto the North-East Jazz scene last summer with a series of gigs celebrating the genius of Thelonious Monk. Consisting of a group of emerging young musicians variously perfecting their skills in colleges in Newcastle, Birmingham, London and Boston USA, the debut gig from this talented combo brought rapturous reviews from the region’s respected jazz blog, having “exceeded every expectation” and being nominated as a contender for “Gig of the Year”. The Quartet is back in the region in December / January with a more seasonal offering, which promises the very best in bebop, with an appropriate nod to jazz-fusion. Please check www.emptyshop.org for dates. "...Durham’s best kept secret. Trane could be heard on the ascent to the first-floor venue, floorboards creaking in semi-darkness…your everyday welcoming jazz joint. Durham’s recently established jazz jam session is the place to hear what’s going down." There will be a house band all night who welcome anyone to get up with them or switch out the rhythm section. They play from the standard real book repertoire so bring music for anything non typical. The jams run very informally with people welcome to come and go as they please. If you want to play or sing, just bring along an instrument and get up as and when you fancy playing. It's a good place to work on improvisation or just listen to some great music. Monday 13 November marks the fiftieth anniversary of Martin Luther King’s visit to Newcastle. The University of Newcastle awarded Dr King an honorary degree, the only British university to do so. A city-wide series of Freedom City 2017 events commemorating the historic occasion culminates with a concert in St Nicholas Cathedral on Saturday 18 by the New Tyneside Orchestra. Included in the programme will be a performance of Duke Ellington’s Three Black Kings. Half a dozen big name out-of-towners visit the region during the month. Pianist-singer Joy Ellis can be heard for free at the Fox Inn on West End Terrace in Hexham (Nov 14). Accompanying London-based Ellis will be Henrik Jensen, bass, and drummer Adam Osmianski. Three top class musicians and it’s all for free – be sure to put a crisp, new note in the bucket collection! 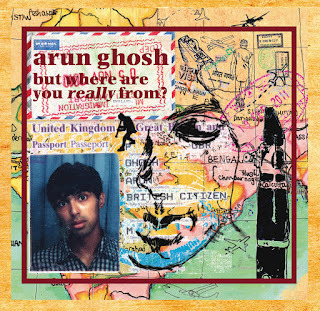 Arun Ghosh returns to Sage Gateshead (Nov 19), and Omar Sosa and Seckou Keita pitch up a couple of days later (Nov 21). On Teesside the always impressive BBC Big Band will be in concert at Middlesbrough Theatre (Nov 22) and on Friday 24 Sandrani can be found in the Black Swan basement venue at Newcastle Arts Centre. 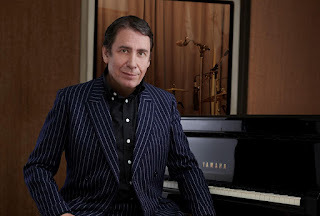 Rounding off a clutch of big names is Jools Holland. For several years Holland’s band has sold out a two-night stint at Newcastle City Hall. November 29 and 30 should prove equally as popular. Regional bands are out and about as usual. The Paul Edis Sextet will be at St Cuthbert’s Centre in Crook, County Durham (17) and all concert goers receive a free slice of pizza! Earlier in the day at the Jazz Café in Newcastle pianist Edis plays a solo concert. At the same time (1:00pm) at Bishop Auckland Town Hall Mick Shoulder’s Swing Manouche can be heard playing Manouche and some original material. Tyne Horns is a new saxophone quartet. 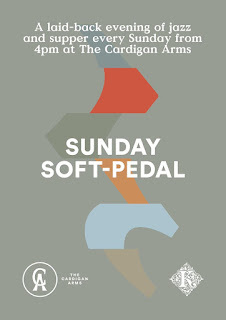 Catch them for free at the Exchange in North Shields on Sunday 19 (3:00pm). Dr Paul Edis gigs again at the Black Bull, Blaydon (Nov 19) in a double bill with the Early Bird Band. Edis will play a solo set followed by the emerging, young musicians working with Edis known as the Early Bird Band. Get along to hear the stars of tomorrow – alumnus include degree students currently studying at Berklee, Birmingham Conservatoire and RNCM. Charlie Parker and Miles Davis put in an appearance at Newcastle’s Bridge Hotel (12). Rather, the music of Bird and Miles. Paul Gowland leads a quartet to play the music of Parker and Teesside’s Noel Dennis, trumpet, revisits the music of one of his heroes – Miles Davis. Finally, the north east’s Strictly Smokin’ Big Band will make the short trip to Leeds on Sunday 12 to play a lunchtime gig (1:30pm) at Seven Artspace in Chapel Allerton. A nice day out for a top band. 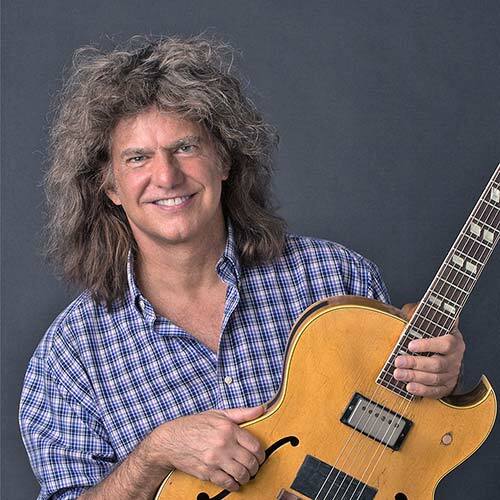 Winner of 20 Grammy Awards, guitarist Pat Metheny is making a special visit to Hull Jazz Festival as part of his 2017 world tour, and to celebrate Hull UK City of Culture 2017 and Hull Jazz Festival’s 25th anniversary. The sheer invention and energy of Pat Metheny’s music continues to shine, always searching for new sounds and ideas whilst retaining the melodic force and free-wheeling, joyous drive that has been his hallmark since he took the jazz world by storm in the 1970s. 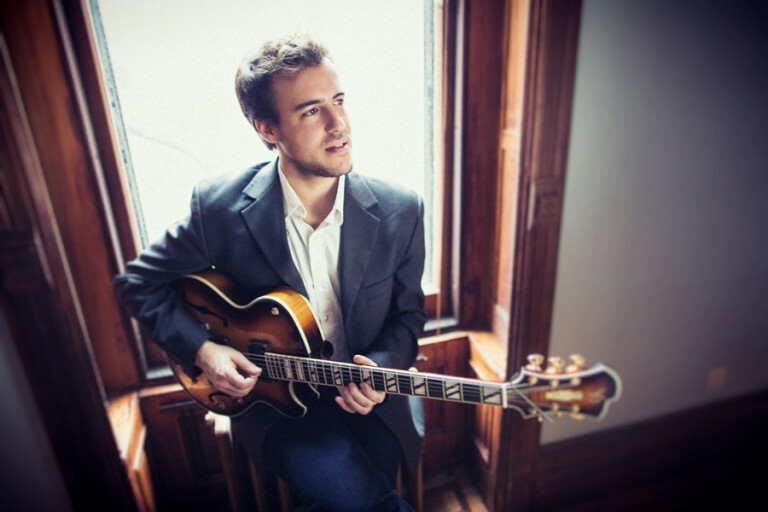 In this brand new quartet, his unmistakeable guitar style is matched with two stellar talents from a new generation, with UK pianist Gwilym Simcock joining the brilliant bassist Linda Oh and long-time Metheny sidekick, drummer Antonio Sanchez, in a band that positively exudes class. After a packed show at Wharf Chambers last year, Gilad Hekselman is back to perform his only Northern date and this time he is joined by his new trio AND saxophone powerhouse Mark Turner! This is a rare chance to see four giants from the NYC jazz scene perform up close in an intimate setting and if last year's show is any indication, this will sell out fast. I think Mark Turner is one of the most important players that has come along in the last 20 years, easily the most influential. He never seems to have any doubt about what hes doing. Gilad Hekselman is one of the most talented and well respected guitar players in the world today. Gilad first gained recognition after winning the 2005 Montreux jazz guitar competition. He has played, performed and recorded with artists such as Mark Turner, Jeff Ballard, Esperanza Spalding, Jeff 'Tain' Watts, Avishai Cohen and John Scofield. Critically-acclaimed saxophonist and multi-instrumentalist Courtney Pine C.B.E returns to the UK for the fourth edition of the Jazz Directors Series in February 2018, taking in four shows in Manchester, Leeds, Clitheroe and Lancaster with the Inner City Ensemble. Widely recognised as one of the UK’s leading jazz musicians, Pine transformed the British jazz scene when his 1986 debut album ‘Journey to the Urge Within’ became the first jazz album to make the British Top 40 album chart. 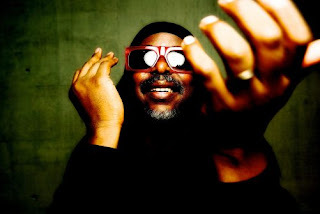 The last two decades have seen him go on to achieve international acclaim, releasing 16 studio albums and constantly pushing the boundaries of the genre, as evidenced in his Matisse Live composition for Tate Britain and live performance at UNESCO’s International Jazz Day 2014 in Osaka, alongside Herbie Hancock and an all-star line-up. With this residency, Courtney Pine builds on the success of previous Jazz Directors Series’ led by trumpeter Terence Blanchard, saxophonist Chris Potter and pianist Zoe Rahman. For the fourth edition, Pine will be joined by a new line-up of emerging, professional jazz and crossover musicians, to be announced soon. Double Bill:- The Kapok Trio from the Netherlands and BWD (Blackburn with Darwen) Big Band. Wigan Jazz Club, Sunday 26th November, 2017 at Whelley Ex-Servicemen’s Club, Vauxhall Road, Wigan, WN1 3LU. 12.30 pm till 3.00pm, but sometimes goes on a bit longer. Admission £12 non-members, £11.30 concessions, £11.00 members.Pay on the door, or book tickets in advance through justaddtickets.co.uk. Both of these bands are featured on U-tube, Wikipedia etc. 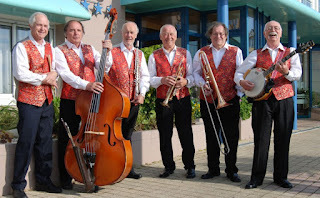 The Darren Lloyd Dixieland Band presents ‘A Salute to Louis Armstrong’. The Music Continuum in association with Wigan Jazz Club, Friday 1st December, 2017. A fund-raising event for the Wigan International Jazz Festival 2018 at St Michael and All Angels Church, Duke Street, Swinley, Wigan, WN1 2B. 7.30 pm. Admission £12, Wigan Jazz Club members £10. Tickets available from justaddtickets.co.uk or phone Ian Darrington Tel 07785 982524 or Wigan Jazz Club 07848 818276. Undercurrent - at the White Swan LS1 63G (next to the City Varieties in the Town Centre).Montly concert curated by Jami Sheriff from Leeds College of Music 8-11pm First Tuesday in the month Lots of great musicians coming to play - free entry. Tues 7 November has Jami's band featured in "Rafe's Dilemma" their version of the Bill Naughton's play Spring and Port Wine featuring Sam Vicary Eleanor Begley Katie Patterson with support from Else Skogan Bonesrønning band. Kick off at 8.00pm. 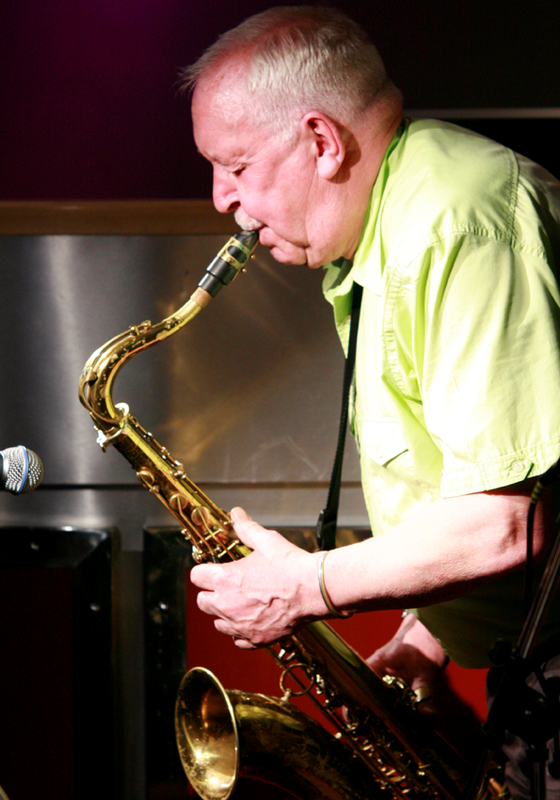 Saxophonist Dave O’Higgins, will play some of the most swinging music you will hear today. Straight ahead jazz firmly in the harmonic and melodic tradition, Dave has worked with an array of top musicians including Jason Rebello, Jimmy Smith, Ray Charles, Kyle Eastwood, Jamie Cullum and Darius Brubeck. 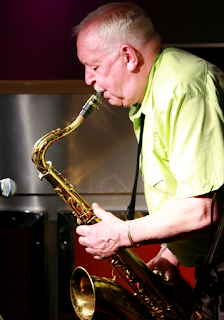 Dave O’Higgins - tenor & soprano saxes; Sebastiaan de Krom - drums; Geoff Gascoyne - bass; Graham Harvey - piano/keys. Nov 4th – Red Stripe Band – now for something a little different and much requested. Red Stripe led by Neil Drinkwater on keyboard has been stomping its boogie woogie, jump jive, blues, swing and rock and roll rhythms worldwide for nigh on twenty years. Infectious energy coupled with lashings of high octane music. £10. 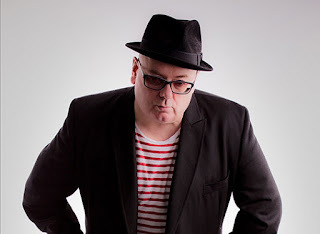 18th – Dave Donohoe Jazz Band – and a warm welcome to one of the unsung heroes of the British Jazz scene with a first class array of musical talent led by Dave on trombone and amongst whom is our local hero, Frank Brooker plus Teddy Fullick on trumpet. Something of a ‘New Orleans’ bent to the programme but always an excellent evening’s entertainment. 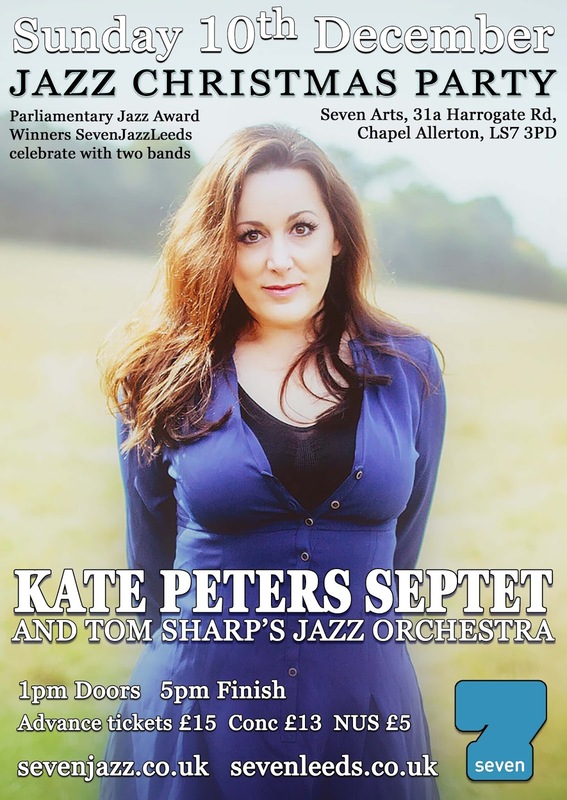 25th – Amy Roberts + Richard Exall + Tom Kincaid – now here we have the makings of a memorable night as Amy and Richard demonstrate their formidable talents as they take on the standards on a range of reeds instruments and more than ably supported by the wonderful Tom Kincaid Trio. £10. Thanks for your Support – it’s what keeps music live! Why not bring along a friend, neighbour or relative – JITS is friendly and it’s fun! 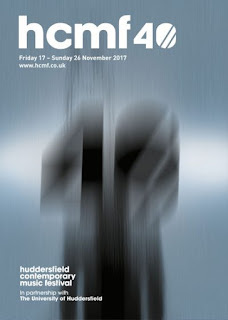 Coming your way this November from JazzLeeds- Arun Ghosh, Christine Tobin, Latchepen, Strictly Smokin' Big Band, J Frisco, ChapelFM Jazz Collective, Alec Robinson Quartet, Maya Kally, Cathy Ibberson, plus a jam sessions... ! A real treat for fans of jazz and of Leonard Cohen. Support is from "Jazz North introduces" band J FRISCO 8-8.30pm. Tickets selling fast for this - https://www.ticketsource.co.uk/event/FDDIED. Acoustic by nature but with a projection and heart beat that can rival any amplifier or drum, this quartet is jazz on a string with influences ranging from Django Reinhardt to bebop. November Jam session @Inkwell Sunday 5 November 1.30-4pm. **This Sunday 5 November! Bring your instrument, your voice or just come and watch the fun! £7/5 conc (concessions includes performers). The Seven Jazz Trio is Joe Boyes on piano, Steve Crocker bass, Jordan Dinsdale drums. We also run Sunday morning Jazz Instrumental Workshops (next one this Sunday 5 Nov 10am) and the JazzLeeds Voices Choir (next one Monday 13th November 7pm) both at Inkwell in Chapel Allerton, If you want to join either of these classes just come along! Further information www.sevenleeds.co.uk See you soon as one of our gigs!